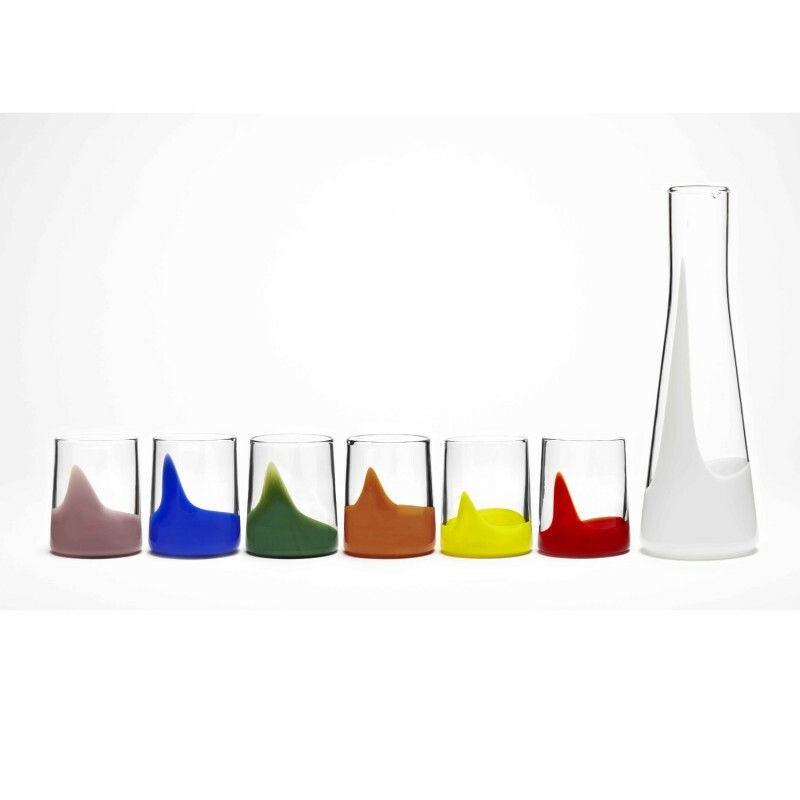 The stunning Ash Set – White consists of a hand blown Carafe in white with 6 matching drinking glasses in a vibrant mix of colours: rose, blue, green, yellow, orange and red . The design is achieved through the movement of colour blown into the glass, a technique that is extremely difficult to master and each piece is truly unique. Part of the MARTA Intimate Collection of hand blown contemporary glass sets by Bib & Sola. Inspired by the effortless composure of women water bearers throughout the world, a percentage of all proceeds from each sale goes directly to The One Foundation’s development of pump water systems in rural Malawi. Bib & Sola is a contemporary glassware brand that offers a stylish alternative to plastic, whilst simultaneously raising awareness for water. Latin for drink and comfort, Bib&Sola is a responsible brand encouraging everyone to make a connection between the water they drink, the way they drink it, and the impact it has on their lives.